Home » Blog » Divorce » 5 Divorce Mistakes That Can Cost You Money! We know that divorce or separation costs money, not only are there costs of mediation, costs of lawyers and other experts- there are also divorce mistakes that cost people lots and lots of money! This one is the quickest way to annoy the hell out of your ex- what may have been a potentially amicable divorce ends up being a war-zone. Don’t post things like ‘here’s my ex- once a husband…now a loser!” or worse still posting images of your new lover and how you have ‘finally found true love‘. This may feel good, but the feeling doesn’t last, especially when you are very quickly served with Divorce Papers. Trying to negotiate alone, with an ex you don’t trust is a sure way of costing you time and money! If you don’t trust your ex because they have betrayed you or lied or simply have moved on and you don’t feel that they care about yours or the children’s needs or concerns, then trying over and over to reach agreement is a classic divorce mistake. If you believe that using a divorce lawyer costs money – think about what it will cost you if you agree to something, without proper and sound divorce advice? Speaking and getting divorce advice from specialist divorce lawyer will save you thousands of dollars. Don’t be fooled into thinking you know the law, because you probably won’t. Children are not objects or possessions or means of getting what you want. They never need to be involved in personal and intimate matters between you and your ex-partner. If there is something you want, then communicate directly with your ex. If you are struggling or stuck or your communication is non-existent get professional support or enrol in divorce courses to help you find ways through this. Involving children is a divorce mistake, which will cost your ability to move forward and get over the relationship. We know that for many people the heartbreak of divorce is overwhelming. You may be struck with grief, anxiety and emotional distress. It may feel comfortable to put your head in the sand. In the short-term this may be what you need, but do whatever you must to get into action mode, ( even if it means you do one small task at a time)- it’s so much better for you that procrastinating, or avoiding the inevitable. 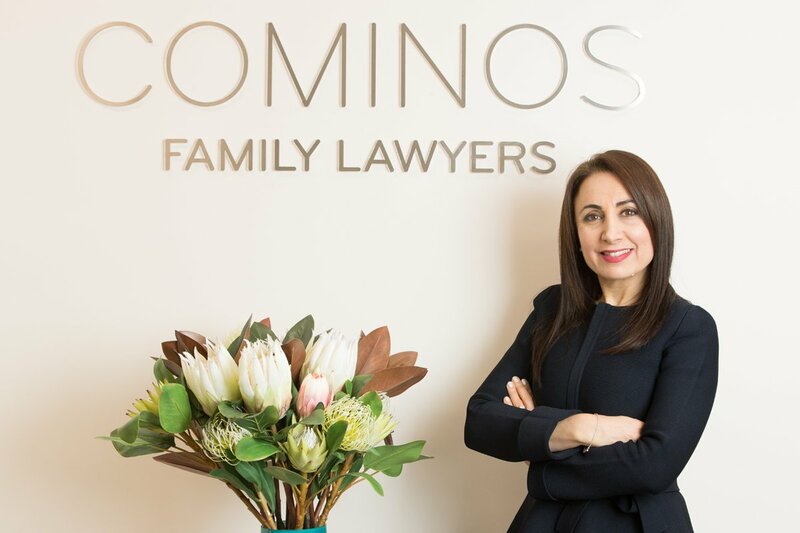 At Cominos Family Lawyers, we will protect you 100% from divorce mistakes! Pamela Cominos is the Principal of Cominos Family and the founder of Healthy Divorce. She has protected and helped thousands of individuals go through divorce and worked closely with them to get them the very best results possible. Disclaimer – all information here is of a general nature, it is not intended as legal advice.